Award-winning residential, nursing and dementia care from an expert care team in a brand new exquisite home – a real home from home. 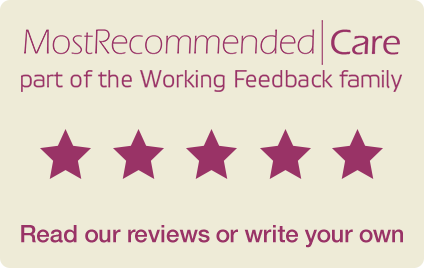 If you would like to become a member of our award-winning team, please email: recruitment@carebase.org.uk or call our dedicated recruitment enquiry line on: 01322 330 265. High quality nursing care provided by expert, qualified nurses. Unlike other local care homes we provide all three levels of care so you should not need to move if your care needs change. Outstanding facilities and a uniquely-styled environment. Heathfield Court is a new care home which opened in April 2017 in Northumberland Heath. This exquisite home, with beautiful gardens offers high quality residential, nursing and dementia care that is focused on improving wellbeing and overall quality of life. Our company is in the Top 20 recommended care home providers on carehome.co.uk with an average family review of 9.3. Over the past five years we have been recognised for our exceptional care winning in excess of 20 awards, including Care Employer 2015 at the Great British Care Awards. We have a reputation for delivering exceptional care which many families have benefited from over the past 20 years. We hope this gives you the reassurance that you or your loved one is being cared for by a trusted and reputable provider with care and compassion at the forefront of everything it does. Our residents at Heathfield Court benefit from exceptional care that is highly personalised to an individual’s needs. Unlike other local care homes we hold registration for all three levels of care – residential, nursing and dementia care. This means our residents should never find themselves in a situation where we are unable to care for them should their needs change – peace of mind for everyone. Heathfield Court is a brand new home that is decorated to a very high standard of luxury and comfort. Features of the home include a ground floor brasserie and elegant lounges on every floor, where residents can socialise together or with family, with smaller lounges for quiet, peaceful time. The home is surrounded by a beautiful landscaped garden with a courtyard, summer house and areas to grow plants and vegetables. All of our residents enjoy direct access to the garden and there are roof terraces on every floor. Our residents benefit from a range of treatments in the home’s spa and hair salon, as well as enjoy an extensive range of books in the library area or the latest film in the home’s cinema. An exquisite private dining room is the perfect setting for a family occasion or celebrations. We invest in our team to ensure they provide the high standards of care that our residents and their families should expect. From our approach to recruitment and our focus on retention of our team members, we also ensure our team receives the right training, professional development and support to be the best they can be. We value the relationship with our residents’ families and provide support every step of the way, from support when a resident first moves in to many family information events – we want our home to feel like home to the whole family. Our residents enjoy a lifestyle that meets their individual social needs and preferences. From a comprehensive range of lifestyle activities in the home to maintaining relationships and links with the local community, to opening our home for the many family events and celebrations – there is something for everyone at Heathfield Court.